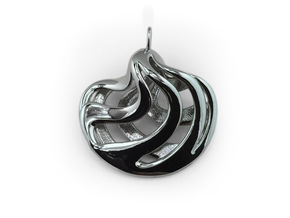 The Pentator pendant, a beautiful twist on the moebius strip, turning endlessly into 5 loops of shimmering light. 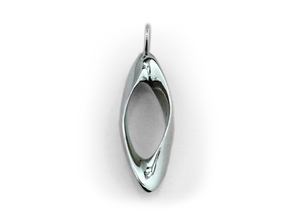 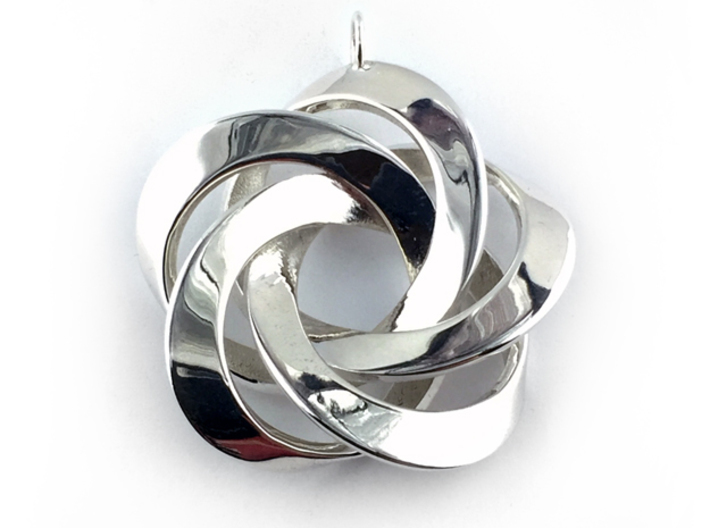 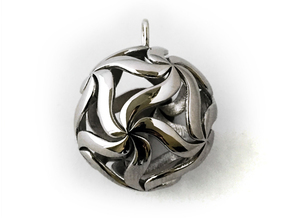 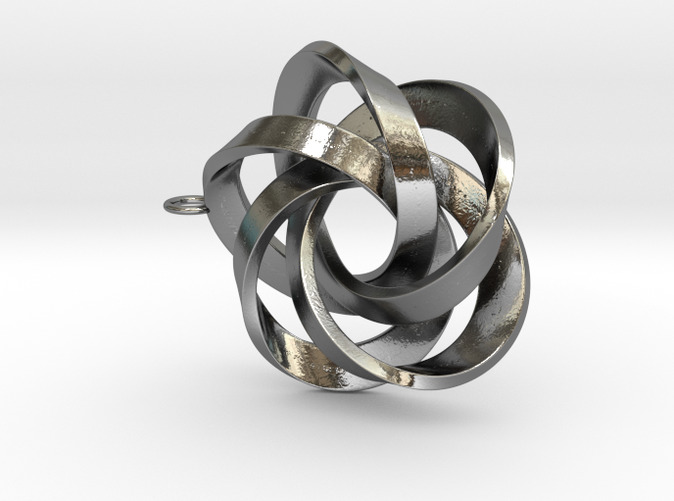 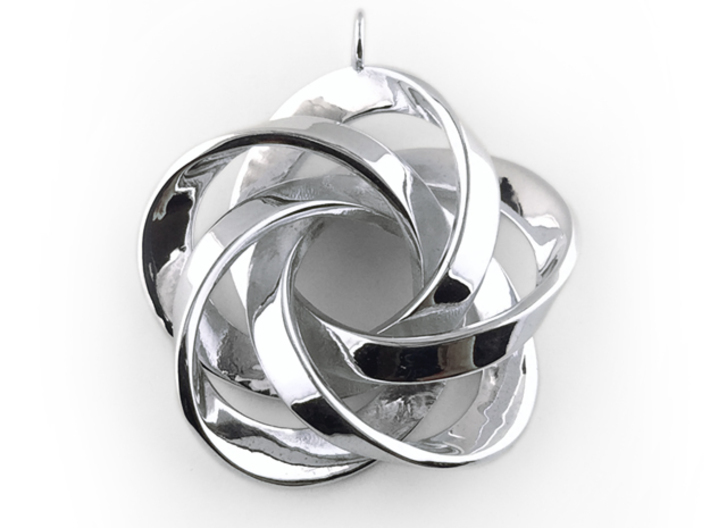 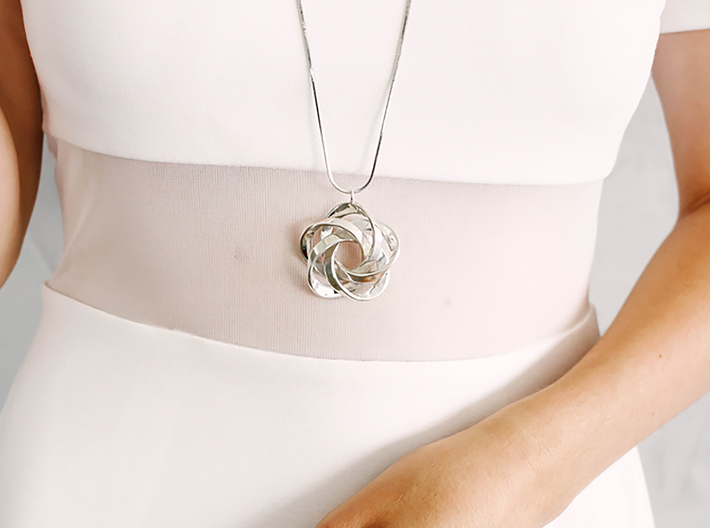 This pendant also has two sides that are different and yet equally beautiful. 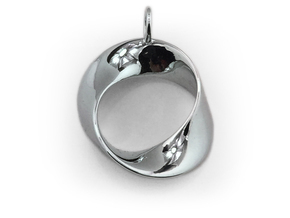 Two pendants for the price of one.